MCPDrive™ is a prosthesis from Naked Prosthetics that restores strength and articulation for those amputees who've suffered an amputation closer to the hand. 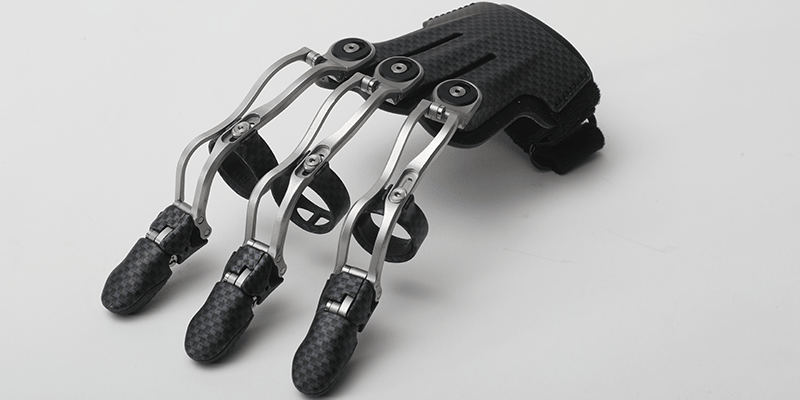 Through movement of the MCP joint, or knuckle, the prosthesis mimics the flexion and extension of a natural finger. Bill Sampson, CP, LP, fit patient and engineer, Pat C., and almost immediately he gained dexterity and confidence. Pat's fingers were amputated as a result of frostbite. If you have questions on partial finger prostheses or want to schedule a free consultation, please give us a call at 518-374-6011. Click on the picture to open the gallery. © Sampson's Prosthetic & Orthotic Laboratory. All Rights Reserved.